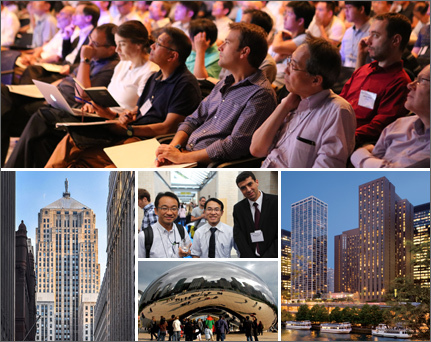 The IMLB 2016 Scientific and Organizing Committees are pleased to invite you to the 18th International Meeting on Lithium Batteries in Chicago, IL from June 19 to 24, 2016. IMLB 2016 is the premier international conference on the state of lithium battery science and technology, as well as current and future applications in transportation, commercial, aerospace, biomedical, and other promising sectors. Convening in the heart of downtown Chicago, the conference is expected to draw 2,000 experts, researchers, and company representatives involved in the lithium battery field. While you may be unfamiliar with Khalil Amine, he has made an immense impact in your life if you happen to use batteries in any way. Amine is head of the Technology Development Group in the Battery Technology Department at Argonne National Laboratory. From 1998-2008 he was the most cited scientist in the world in the field of battery technology. Amine is the chair of the organizing committee for the 18th International Meeting on Lithium Batteries being held this June in Chicago.